Are you looking for a professional, full time real estate broker? Do you need to sell your home quickly and efficiently? Are you in the market for your first home? Are you looking to downsize or need a bigger house? 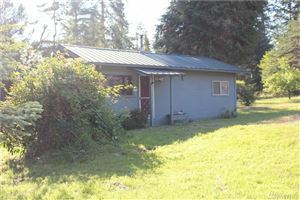 Are you curious about short sale or bank-owned properties in Thurston, Mason or Lewis Counties? Are you looking to sell a waterfront or luxury home (see below for more about the definition of a luxury home in Olympia or Thurston, Mason, Lewis Counties). My commitment to you is to provide personal and professional real estate services for all your home purchasing or home selling needs. For Buyers: If you are looking for waterfront properties in Ollympia, Wa, click on the waterfront properties link to get started. If you are curious about Short Sale properties and Bank-Owned homes, this link will get you information on current short sale and bank-owned properties in Olympia, WA and Thurston County. If you are you relocating to Olympia, Lacey or Tumwater in Thurston County from out of area (or even if you live here now) and you are looking for a median priced, 3 bedroom, 2 bath home, click on this general search to get started. You can save your searches and make changes that will narrow the results to fit your needs. Are you a first time home buyer? Do you have questions about financing your new home? Are you thinking of investing in rental or multi-family properties? I can help with all of your questions and will take you through the process step by step, at your pace. For Sellers: Are you thinking of selling your home and want to know how to price your home? These are all questions I can help you with. I can provide a free Comparative Market Analysis for your home to help you evaluate and price your home correctly. I can help you prepare and stage your home to sell so that it will be the one that Buyers remember as the best value in this competitive market. Luxury Home Market in Olympia WA or Thurston, Mason, Lewis Counties: Luxury homes in Thurston, Lewis and Mason Counties are defined by Keller Williams Realty as homes of superb quality that sell above $500,000. As a Keller Williams International Luxury Home Consultant, I have access to marketing and branding for selling homes in this category. Whether it's a waterfront home in Olympia WA or Mason County, or a horse property in Lewis County, my access to the latest technologies and market research, along with my ability to network with other top luxury agents, will truly benefit my clients and enhance their buying or selling experience. For Sellers, homes that sell above $500,000 in Thurston County, Mason County and Lewis County require special attention for marketing, screening qualified buyers and making sure the home is presented in the best possible light. Call me for buying or selling a home in Olympia WA, Tumwater or Lacey, or anywhere in Thurston, Lewis and Mason Counties. I'm a transplanted Texan who escaped to the cool and beautiful Northwest! I love the scenery, the abundance of fresh seafood, local produce, and wines of Washington State.